In stock -This product will ship today if ordered within the next 1 hours and 3 minutes. 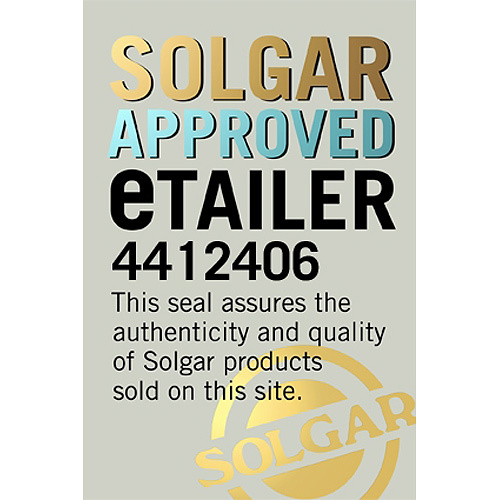 Solgar has been providing innovative, top-quality and wide-range of supplements to consumers since 1947.We are driven by the science of nutrition and we use state-of-the-art manufacturing facilities to provide consumers with the highest quality vitamins, minerals, botanicals and food extracts available.Our mission is to enhance the total health and well-being of consumers. We strive to achieve this by distributing our products exclusively to knowledgeable retailers worldwide, who receive our on-going comprehensive supplement training and nutrition education. These retailers can then guide our consumers through the wide range of supplement choices available. 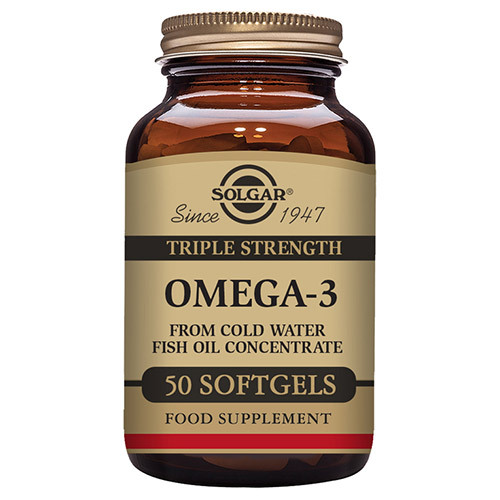 Cold Water Fish Oil Concentrate, Eicosapentaenoic Acid [EPA], Docosahexaenoic Acid [DHA], Softgel Capsule Shell: gelatin (from bovine), vegetable glycerin (from palm kernel oil and coconut oil), Antioxidant: mixed natural tocopherols. 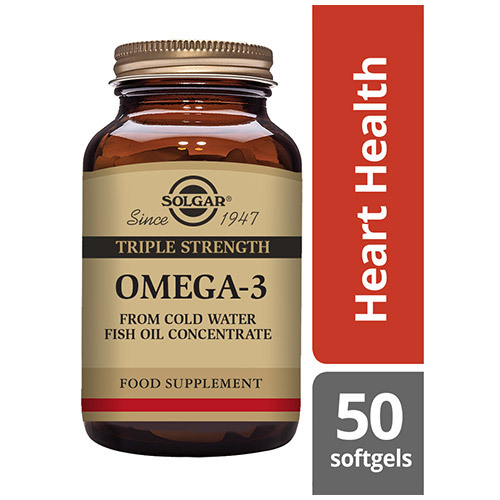 As a food supplement for adults, take two softgels daily, preferably at mealtime, or as directed by a healthcare practitioner. If you are pregnant, nursing, taking any medications, including blood thinners, planning any medical or surgical procedure or have any medical condition, please contact your healthcare practitioner before taking this product. 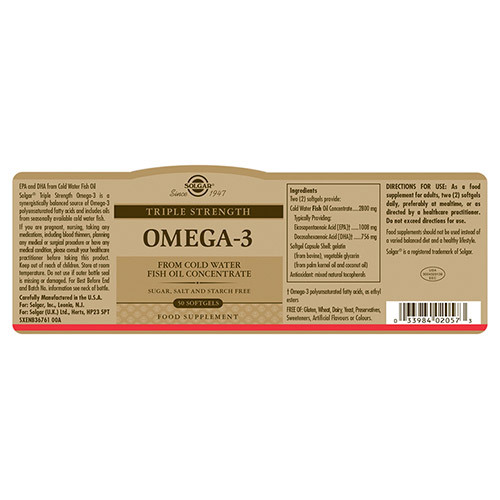 Food supplements should not be used instead of a varied balanced diet and healthy lifestyle. 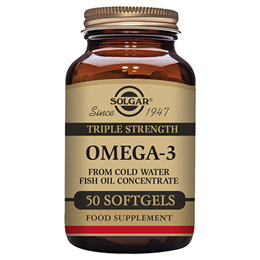 Below are reviews of Solgar Triple Strength Omega-3 Softgels - 50 Softgels by bodykind customers. If you have tried this product we'd love to hear what you think so please leave a review.